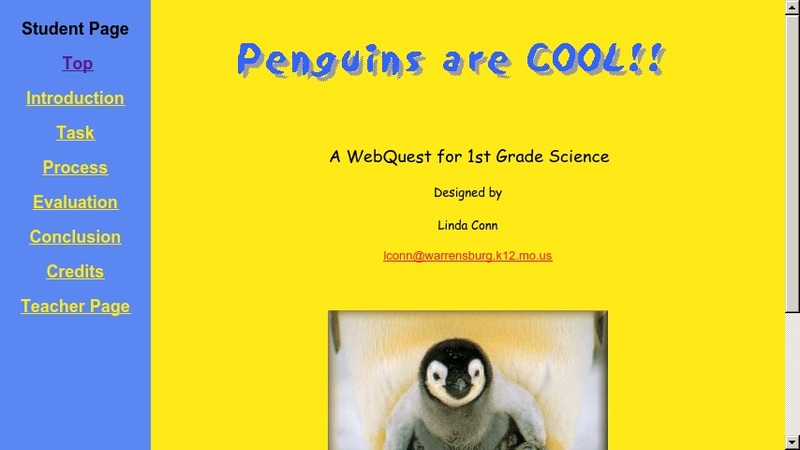 This WebQuest introduces first-grade students to penguins. They will use written and online resources to research several species of penguins, complete a chart with the facts they have discovered, prepare a bulletin board or multimedia presentation, and write stories about penguins. Teacher materials include information on books and other resources and rubrics for evaluation.